I don’t know about you but knowing that I am only a few weeks away from being able to go to a baseball game and cram down some hot dogs and beers gets me a little giddy inside. And of course with the start of the baseball season right around the corner that means its time for some good old fashion baseball gaming. Today we are checking out the latest entry into the MLB: The Show franchise which has dominated the genre in the past couple of years. Does the game have the staying power to continue its reign? Read our full review to find out. One thing that stood out to me in last year’s version of MLB: The Show was that all of its improvements were only incremental. There was not that killer new feature or an overhaul in any main area of the game that made for a must buy. With that being said it still was one of the most complete and enjoyable games of baseball ever created, so there was that. In 2011 there is one major change to come to the franchise and that is the new analog controls. Pitching is the area that the analog controls is the biggest improved by using the new controls. Instead of hitting timed buttons based upon a pitch you now pull back on the stick and depending on if you want the pitch to go the right or left pull forward in that direction to throw a pitch. It is a very timed and precise new motion that takes a lot of games to get used to and master however is super satisfying. Batting is also all done by using the analog stick and works by pulling back and forward on the right analog stick. The one area where the new controls are a bit spottier is fielding which is extremely touchy. I can’t tell you how many times I overthrew my intended base because I held to long on the stick. The controls overall are a big adjustment from the pure button controls (which you can still use) of years past. You can see however quite quickly how important this change was for the series as even if some of the controls are not perfect it makes your actions even more crucial to the outcome of the game. My favorite mode of past games in the series (as with the majority of fans) is the Road to the Show which has proved to be one of the best career modes out there. Unlike last year where the mode remained relatively unchanged, the developers have gone in and made some interesting tweaks to the mode. The mode still starts with you creating your player with an extremely deep creation tool that uses sliders to help craft your player. Once your player is created you still will have to grind it out in the minor leagues to hopefully one day get the call up to the pros. One thing that has changed is that the needs of the professional team now will dictate when you get called up. So if you’re a first baseman in the St Louis Cardinals farm system it might be a while until you get a call up. Road to the Show still is a sports game RPG, and it’s a great one. The game now is more lenient in how you earn experience in the game. Gone are the days where you have to strike out the side to get experience. Now if you hold the batter to a quick out you will still receive partial credit. This feature doesn’t always work perfectly but it’s nice not to have to not feel like a complete failure all the time. I did find that making it to the pros was a much more drawn out process. Where as in last years game I made it to the pros within a season I was almost on Season 3 before I made it up with what I thought was a far more successful player then last years. Regardless this is still an amazingly deep and addicting mode that has gotten some great refinements that help it along its way. MLB 11: The Show is jam packed with the same great modes as in last year’s game. You have one of the deepest franchise modes in a sports game available. There is also cooperative play both online and offline where you can play on the same team as a friend which is a fun addition. Speaking of the online play it is still pretty deep with a good amount of modes to choose from. Sony has also added some limited Playstation Move support with a new Home Run Derby mode which allows you to play with a Move Controller. The mode is far too simplistic showing a bat with an invisible batter. The controls are accurate but you never get the feeling like your swing speed or angle has any impact on where the ball goes. I would have loved to have seen more Move support fleshed out but here is to hoping for that in next years game. 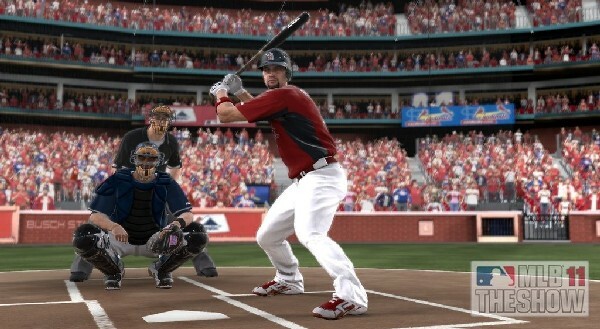 Visually MLB 11: The Show is one of the best looking sports games out there. Sony has added a ton of new animation that really makes the whole experience feel extremely realistic. I would not be surprised if many people mistake this for a real live game at first glance it is that beautiful. A lot of sports games struggle with keeping a steady frame rate but I don’t remember one time where the game hiccupped at all. Now this does come with a minor caveat which is extended load times throughout the game. For the most part load times seem to hover around the 20-25 second area which isn’t bad but when you’re going in and out of games in a mode like Road to the Show it can be a bit irritating. What’s so incredible about MLB 11: The Show is that although it introduced a brand new control system it still remains an extremely fun and challenging game. A lot of times with new controls things can get wonky for a while but Sony managed to tie down these controls to a point where the experience is still top notch. There are of course going to be a handful of people who aren’t as thrilled with the transition but it seems like the right step for the franchise. There is just such a wealth of content in this game that it’s hard not to just want to sit back pop open a soda and enjoy a day at the virtual ball park. Although not a monumental step forward, MLB 11: The Show continues to be the king of the diamond. The new analog controls add an extra layer to the experience that works really well. In the end there is enough in MLB 11: The Show to warrant a purchase but it also still leaves the door open to really overhaul the Road to the Show mode going forward. MLB 10: The Show is a great game of baseball and is one that has the staying power to be a game you can continue playing well into the dog days of summer. 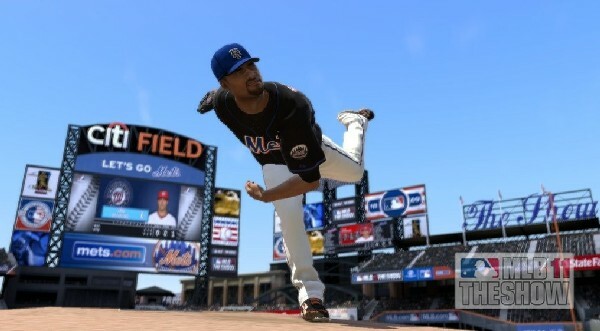 MLB 13: The Show is admittedly a small step forward. It has cleaned up some of the rougher edges in both the Franchise and the Road to the Show mode while maintaining its near-perfect on the field action. What else can I say, MLB 13: The Show remains one of the pinnacle sports franchises in the business today. Last year I said that MLB 11 wasn’t a monumental step forward. I would say that MLB 12 is only a half-step forward for the series. Sure the competition within the genre is weak but that is still no excuse to leave much unchanged from last year’s version. MLB 12: The Show is a fantastic game of baseball there just isn’t enough new to make it an outright purchase recommendation. MLB 08: The Show is the best baseball game on the market this year, hands down. Not only does this game have a lot of content but it also offers up a really well rounded game of baseball to go along with it. If you’re a fan of the great American past time then MLB 08: The Show is the best game on the market today. I do hope next year for a revamping of the Road to the Show mode, but outside of that, if you enjoy a good game of baseball, you will want to step up to the plate with MLB 09: The Show.